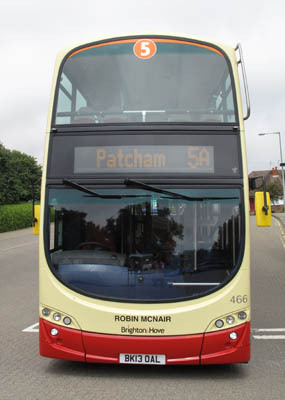 Connections with Brighton and Hove : Squadron Leader Robin McNair was a war hero who later became sales and service manager for British European Airways. He joined the RAF in 1939 and took part in the Battle of Britain the following year as a pilot. 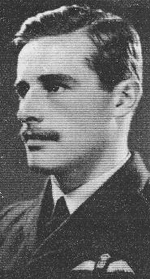 Rising to the rank of squadron leader, he would always take the most exposed position when flying and was shot down several times. He was awarded the DFC for his brave work in the war and later served with distinction in Normandy, taking part in the Dieppe Raid of 1942 and the landings two years later. McNair was a devout Roman Catholic who always prayed that what he was doing was right. He raised large sums of money for the church. He lived in Norton Road, Hove, and gave his name to McNair Court in Portland Road on the site of Portland Gate. He was a scrum half for Brighton and Hove Rugby Club and top scorer one season in cricket for Hove. Married with seven children, he died aged 77 in 1996. 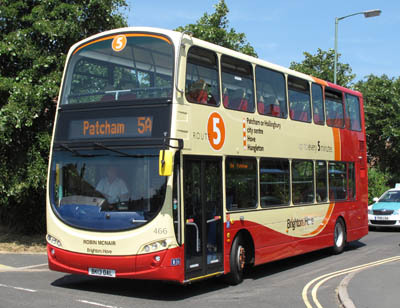 466 Volvo Gemini - carried name since delivery in June 2013 on Route 5.